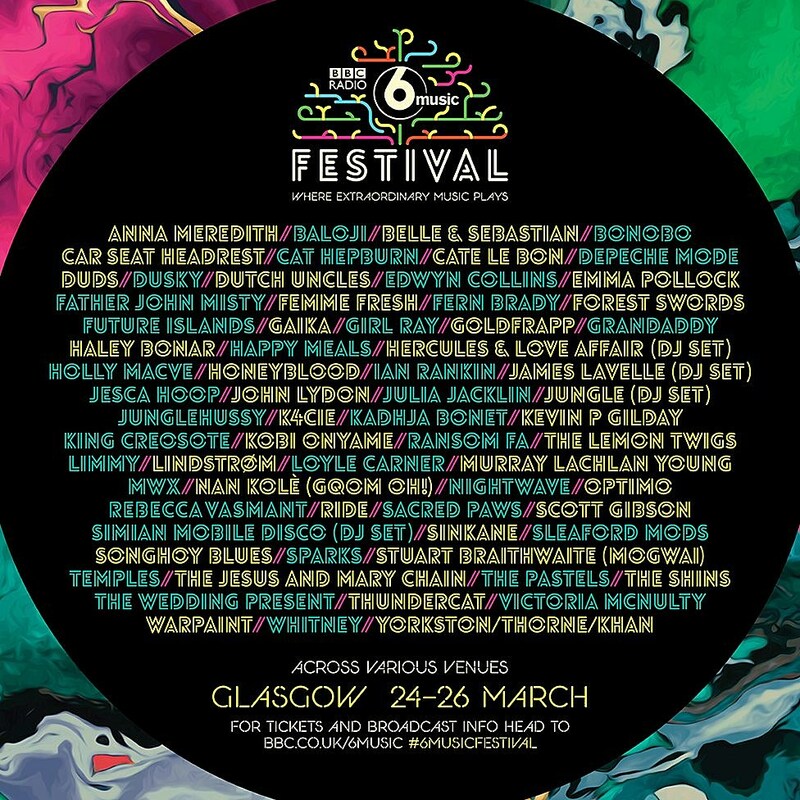 BBC’s satellite/online station 6Music is celebrating it’s 15th anniversary this year, snd are throwing quite a party for themselves in the form of the fourth annual 6 Music Festival which this year takes place in venues all over Glasgow, Scotland from March 24-26. The lineup is pretty amazing, including Depeche Mode, The Jesus & Mary Chain, Ride, Belle & Sebastian, Father John Misty, Sparks, The Wedding Present, The Shins, Warpaint, Edwyn Collins, Sleaford Mods, Grandaddy, Goldfrapp, Cate Le Bon, John Lydon, Future Islands, The Pastels, Whitney, Car Seat Headrest, The Lemon Twigs and loads more. Full lineup, including daily lineups, is listed below. Tickets go on sale Friday, February 24 at 10AM Greenwich Mean Time. Check out a video of Underworld performing at last year’s festival.